MANILA, Philippines -- A rare Philippine Eagle released to the wild two months ago has been found killed in a southern Philippine forest, conservationists said Wednesday, in a tragic ending after she was nursed back to health from gunshot wounds three years ago. 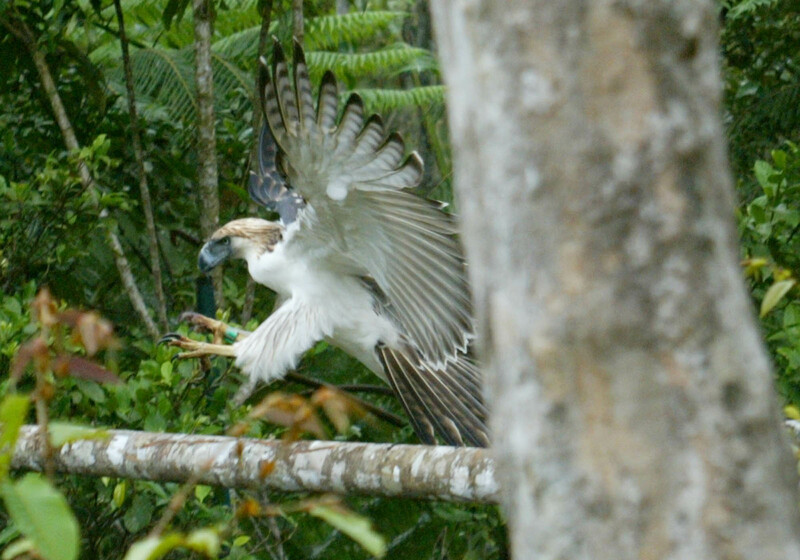 Only about 400 adult pairs are estimated left of the Philippine Eagle, which is endemic to the Philippines. The International Union for the Conservation of Nature classifies the species as "critically endangered." Dennis Salvador, executive director of the Philippine Eagle Foundation, said the carcass of the eagle was retrieved Sunday on a mountain range in southern Davao Oriental province with a gunshot wound to her chest. The foundation released the bird back to the wild to breed on June 12, Philippine Independence Day, about a 0.62 miles from where its carcass was found. He said the foundation is working with police and local officials to arrest those behind the killing, which happened despite an information drive among the communities in the area about the high-profile bird. "It's really very disturbing," Salvador said. Killing a Philippine Eagle is punishable by up to 12 years in jail.